• Boost your odds of acceptance. This point is a major one – we’ve said it before, but the LSAT is king of law school admissions. Law school admissions officers will be forgiving of weaker parts in your application if your LSAT score, even if earned from a retake, is strong. • Increase your odds for scholarship money. Earning just one more point, for example, can give you some serious scholarship money. And earning a three- or four-point increase can even offer you a full scholarship to law school. • Improve your future job outcomes. Since your LSAT score will affect what tier of schools will be available to you, and school ranking is correlated with employment outcomes, you can vastly broaden your future job opportunities if you boost your score by just a few points. • Sharpen your academic skills. While the LSAT isn’t a perfect predictor of law school performance, many of the skills that it requires, like reading and critical thinking, will be tested again in law school. If you find yourself weak on certain areas of the LSAT, putting in the time to improve in them will likely pay off in law school. 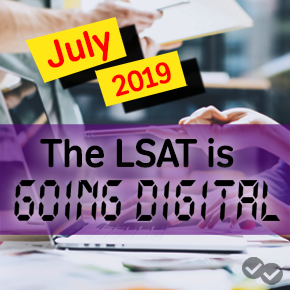 To make sure you’re really getting your money and time’s worth in retaking the LSAT, you must be sufficiently confident that you can get a higher score on the retake. One downside to retaking the LSAT is that you might actually get the same score, or even a lower score, the second time around. Law school admissions officers will likely have questions about your performance if you aren’t able to improve, or actually take steps backward, from your initial LSAT score. If you’re thinking this probably won’t apply to you – data from LSAC shows that while most students do improve on retakes, about 30% of students earn the same score again, or see their score go down. Click here for the full chart showing LSAC’s repeater data. However, retaking the LSAT remains a smart, worthwhile choice for those of you who can achieve a higher LSAT score. 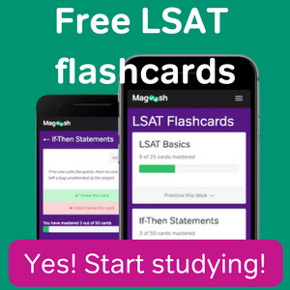 Make sure you’re adequately prepared for a successful retake by checking out Magoosh’s online LSAT prep!